You'll explore the less-touristy side of things at Mission San Juan Capistrano and Heisler Park. 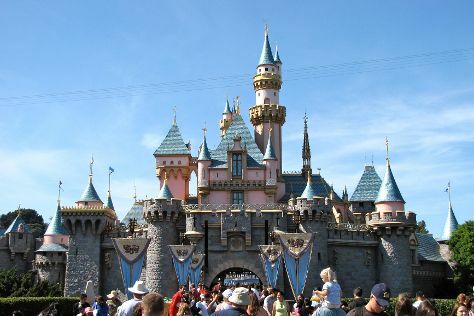 You'll visit kid-friendly attractions like Disneyland Park and The Getty Center. Venture out of the city with trips to Crystal Cove (in Laguna Beach), Rainbow Sandals (in San Clemente) and Disney California Adventure Park (in Anaheim). Pack the 29th (Fri) with family-friendly diversions at Universal Studios Hollywood. The adventure continues: look and learn at Griffith Observatory, admire the striking features of Bradbury Building, get to know the fascinating history of Hollywood Walk of Fame, and take in the waterfront at Dana Point Harbor. To see reviews, other places to visit, traveler tips, and tourist information, you can read our Los Angeles trip itinerary planner . Zurich, Switzerland to Los Angeles is an approximately 14-hour flight. You can also do a combination of flight and bus; or do a combination of train and flight. The time zone difference moving from Central European Time to Pacific Standard Time is minus 9 hours. When traveling from Zurich in March, plan for much hotter days and a bit warmer nights in Los Angeles: temperatures range from 27°C by day to 14°C at night. Finish up your sightseeing early on the 31st (Sun) so you can go by car to San Diego. Attractions like San Diego Zoo and Torrey Pines State Natural Reserve make great kid-friendly stops. Step off the beaten path and head to San Diego Zoo Safari Park and South Carlsbad State Beach. Change things up with a short trip to Anza-Borrego Desert State Park in Borrego Springs (about 1h 35 min away). There's much more to do: get in on the family fun at SeaWorld San Diego, stroll through Cuvier Park - The Wedding Bowl, enjoy some diversion at Petco Park, and pause for some photo ops at The Unconditional Surrender. You can drive from Los Angeles to San Diego in 2.5 hours. Alternatively, you can take a bus; or fly. Traveling from Los Angeles in March, you will find days in San Diego are slightly colder (24°C), and nights are about the same (15°C). Cap off your sightseeing on the 6th (Sat) early enough to travel to San Francisco. You'll visit kid-friendly attractions like Exploratorium and Crissy Field. 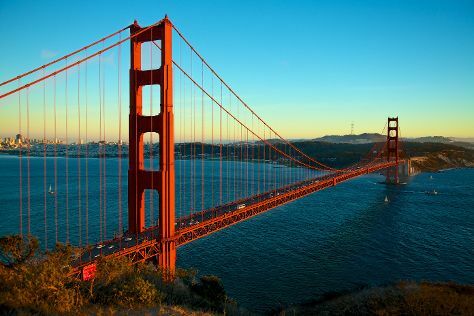 There's lots more to do: snap pictures at Golden Gate Bridge, don't miss a visit to Golden Gate Park, see the interesting displays at de Young Museum, and take your sightseeing to a higher altitude at Twin Peaks. For ratings, photos, maps, and other tourist information, read our San Francisco online tour itinerary maker . Fly from San Diego to San Francisco in 3.5 hours. Alternatively, you can do a combination of flight and train; or drive. Plan for slightly colder nights when traveling from San Diego in April since evenings lows in San Francisco dip to 12°C. Finish your sightseeing early on the 11th (Thu) to allow enough time to travel back home.